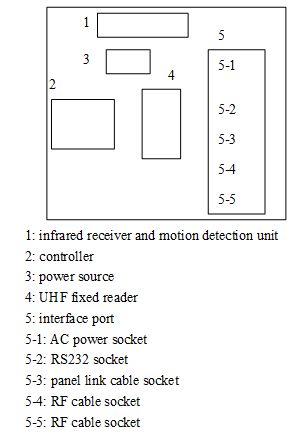 CF-RU5113 is a high performance EPC C1G2(18000-6C) protocol UHF tag gate device. Designed upon fully self-intellectual property, it supports fast tag anti-collision operation with high identification rate and 2 line infrared sensors for motion detection. It can be directly connected to host, controller and other equipments. It can be widely applied in many RFID application systems such as logistics, open conference attendance system, open access control and industrial production process control. l Provide DLL and Demonstration Software Source code to facilitate further development. *Effective infrared sensor detection distance up to 1.5m. CF-RU5113 is designed upon advanced gate concept. Each gate consists of one main panel and one auxiliary panel. Main panel includes Antenna Array, UHF Fixed Reader, Controller, Infrared Receiver and Motion Detection Unit, Power Source and Interface Port. Auxiliary panel includes Antenna Array, infrared transmitter unit and Interface Port. CF-RU5113 accessories include AC power cord, Panel link cable, RF cable and RS232 serial communication cable. 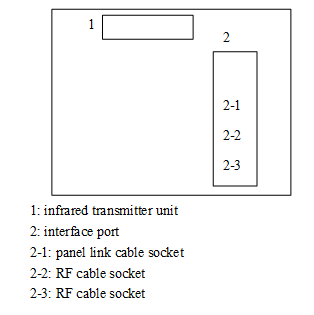 For the details of the serial communication protocol, please refer to CF-RU5113 user manual.